Dr. Elizabeth Blue studies human genetic variation with two complementary perspectives: understanding the evolutionary history of populations, and detecting regions of the genome influencing disease. 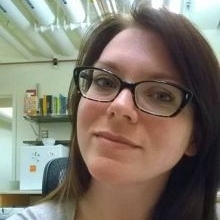 She has worked on UW ADRC projects since joining UW as a postdoctoral fellow in 2008, through pilot grants. Her long-term research goals are to identify genes contributing to Alzheimer’s disease and age-at-onset modifiers, and to study the evolution and function of individual variants within those genes. She is currently part of the Alzheimer’s Disease Sequencing Project, where she is a contributor to the Family-based analysis and Annotation working groups.